Although most of my blog posts are food related, I don't limit my writing to one particular category. It's just that most of my free time, I find myself in restaurants eating rather than in malls shopping. Even with my family during Sundays, we just go out and eat, if not doing some groceries which happens to be food related too. Last month, I got some GirlStuff Nail Polishes, and believe it or not, I was pretty excited to try them out. Yes, I have a kikay side too :) I immediately remembered my sister in China who loves doing her nails and experimenting some nail art designs. 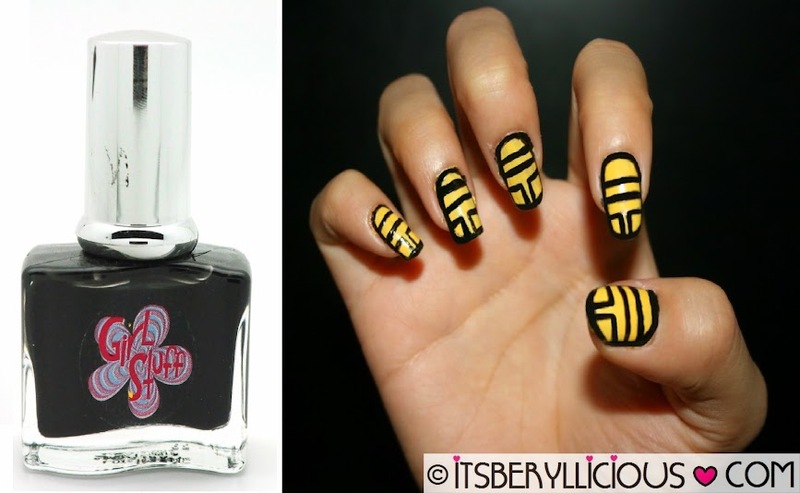 Check out her nail art creations here. Nail polishes in China are incredibly cheap! But the major problem is that these products tend to leave your nails yellowish and dull. Girlstuff Nail Polishes are made in France so you are assured of the quality of their products. Plus, they are free from Formaldehyde, Toluene, and Di-butyl Phthalate- three (3) harmful chemicals that are mostly found in nail polishes which damage and cause our nails to yellow. Girlstuff Nail Polish is non-toxic and safe to use especially for kids. 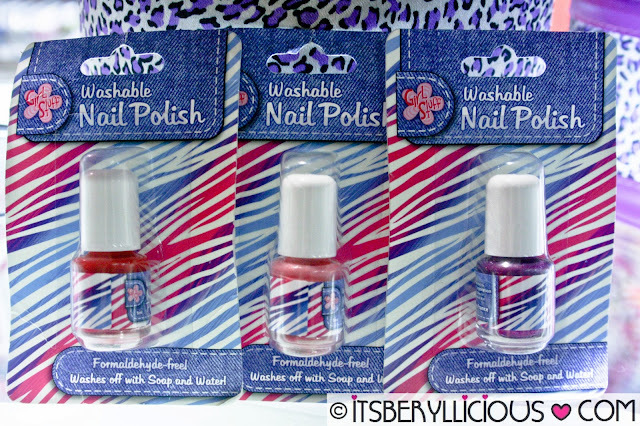 They even came out with Girlstuff Washable Nail Polish (P99.75) which is water-based, thus can be easily removed with just soap and water. Colors available are: Red, Fuschia, Baby Pink and Purple. Their regular nail polish has over 40 shades to choose from. I got Joanne (P149.75) from their Holiday Collection, Flirt (P149.75) from their Red Collection, Jade (P99.75) from their Pastel Collection and Twilight (P99.75) from their Basic Collection. I don't normally use a black polish for my nails but I find it a necessity for those who love doing nail arts. It enhances each design and brightens up the hands as well. 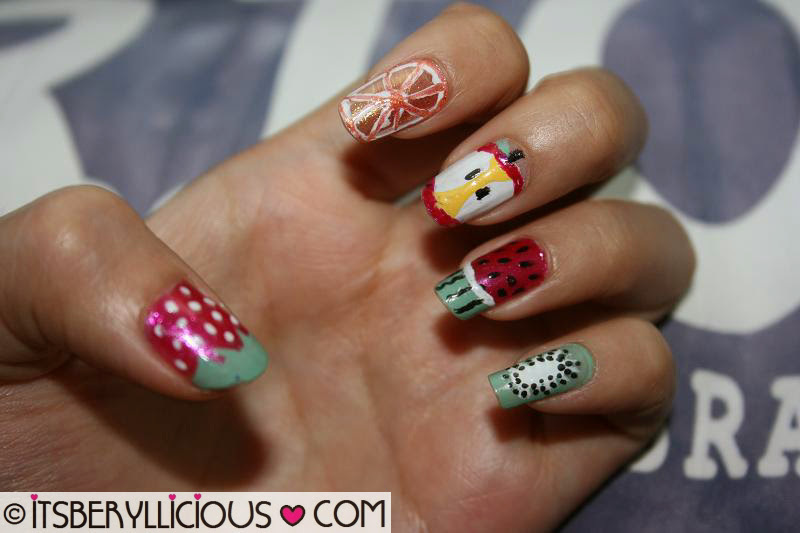 With Girlstuff Forever Nail Polish, you can go simple with clean and pastel colors..
or get playful and funky with creative and artistic designs just like this fruit-inspired nail art creation of mine. It was great that I was able to use all my chosen Girlstuff nail polish colors to come up with this design. Sweet! 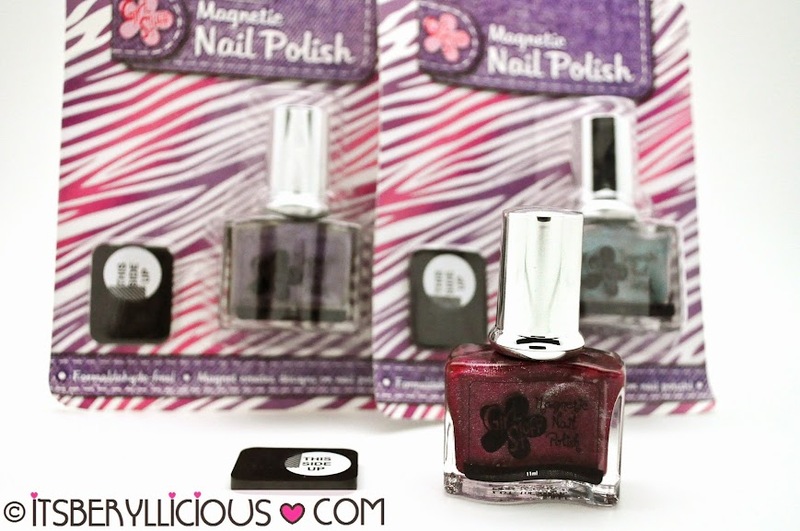 Lastly, Girlstuff Magnetic Nail Polish (P249.75) applies and dries as regular nail polish but comes with a special magnet that creates a beautiful swirl or diagonal stripe pattern to the nails. 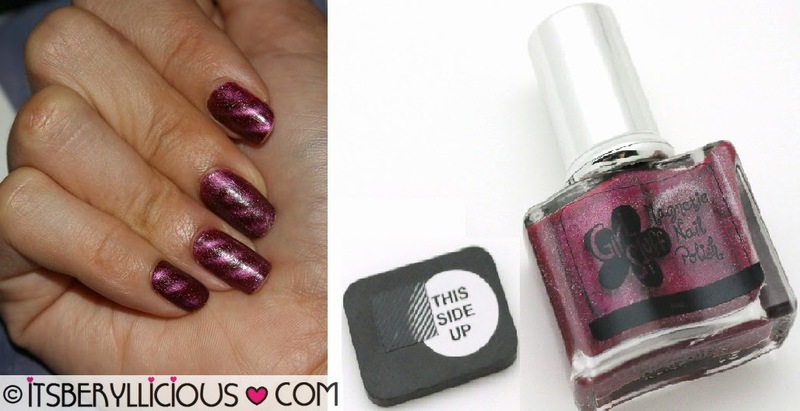 I was very eager to try their Magnetic Nail Polish as I unwrapped the Pixie color with stripe design. I have yet to try the equally nice swirl design in Ice Queen and Vixen in stripes. During my first try, I tried moving the magnet around my nails but nothing happened. On my second attempt, I hovered the magnet on top of my nails steadily for a few seconds and there it was- a beautiful stripe pattern. 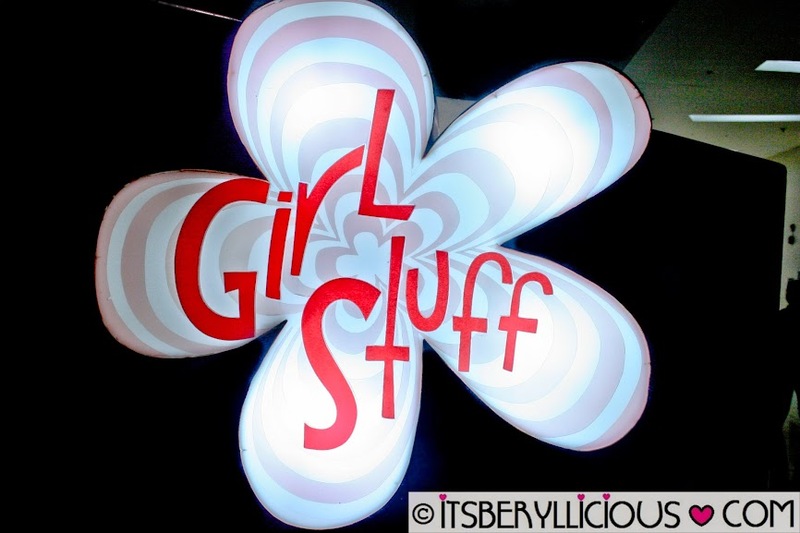 I really enjoyed playing around with these Girlstuff Forever products. Aside from nail polish, they also have gift sets, colognes, kits and accessories that will surely bring out the kikay side of you. I'm excited to try out other nail polish colors from Girlstuff and create more unique and trendy nail art designs. So pretty! The SM Department store kids section also sells this brand, but the choices are limited compared to the kiosk I saw at SM Mall of Asia. I love your Yabu nail art. 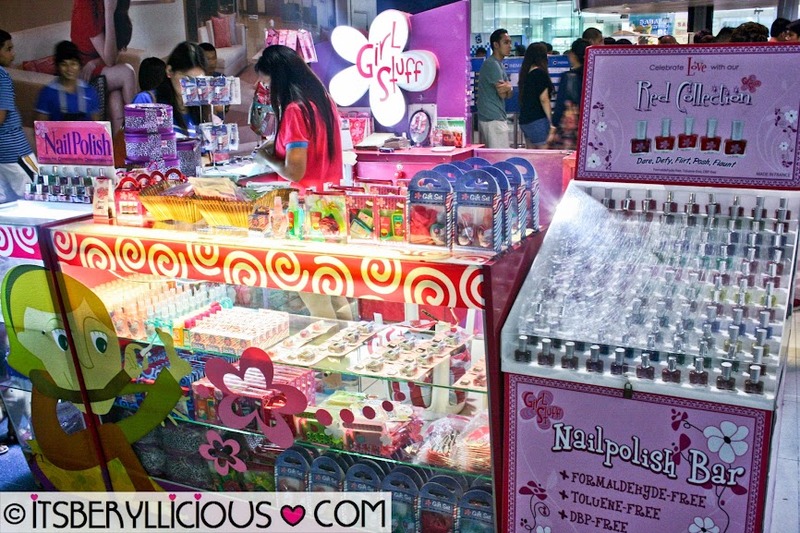 super love girl stuff forever nail polish,they have a wide range of cutie colors to choose from! super love to play colors with this nail polish!